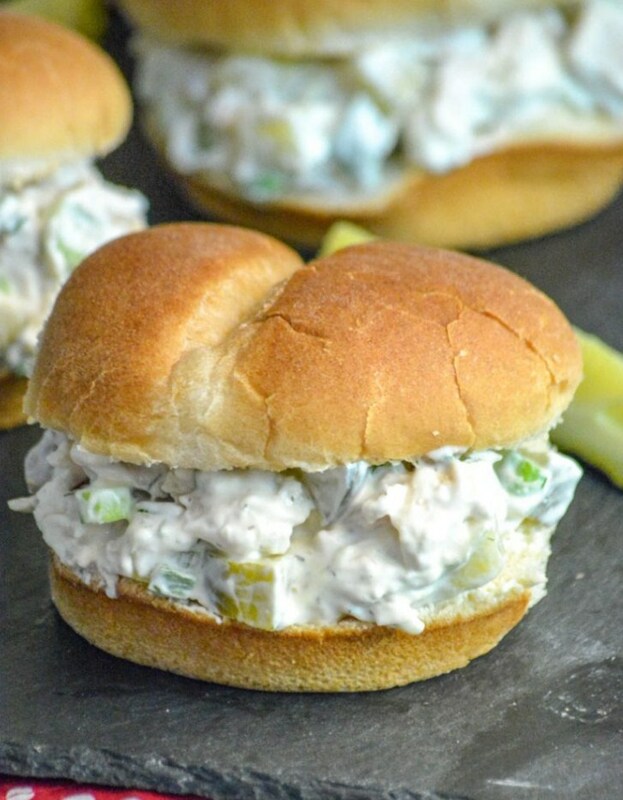 Chopped rotisserie chicken, chunks of crisp dill pickles, & freshly sliced green onions are all tossed in a creamy dressing for an amazing sandwich or cracker spread that should be on any pickle-lovers bucket list. In a large mixing bowl, add the chicken, pickles, and onions. Lightly toss to evenly combine. Add all of the ingredients to a medium sized mixing bowl, use a hand mixer to blend them all together until smooth. Pour the dressing over the chicken salad, tossing to evenly coat. Season with salt & pepper, to taste. Cover the bowl tightly with plastic wrap and refrigerate until the chicken salad's nice and cold, about 4 hours. Spoon the mixture onto buns of your choice and serve as sandwiches, or serve in a bowl with crisp crackers for dipping. Trying to avoid carbs? It also tastes delicious wrapped in a lettuce leaf.